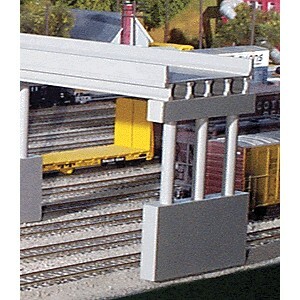 Create realistic highway overpasses for your modern or period layout with these easy-to-build N Scale kits. All parts are molded in realistic concrete color. Each overpass section is fifty scale feet long and 25 scale feet wide. 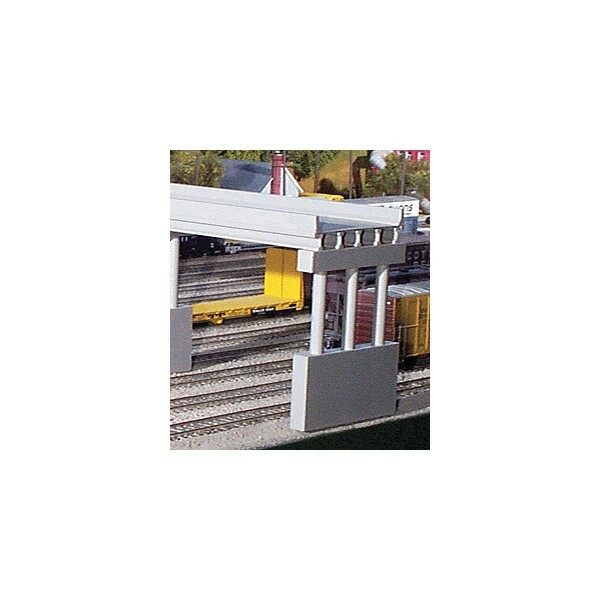 Modular design and interlocking parts make it easy to construct a longer Overpass.